One of the most interesting ways to kick up the profitability and return on investment for a new or rehabilitated apartment complex is to look for ways to acquire federal Low Income Housing Tax Credits (LIHTCs, sometimes called “Section 42 credits”). The Low Income Housing Tax Credit (LIHTC) program was created by Section 42 of the Tax Reform Act of 1986, in response to growing awareness that a large proportion of families need some form of assistance to afford their monthly rent. According to the 2010 American Community Survey data, for example, more than 19 million households (49% of apartment renters) pay more than 30% of household income in rent. LIHTCs quickly became the most important federal program for encouraging development of affordable rental housing. The program works by incentivizing private investors to provide equity at lower costs for construction or rehabilitation of low income housing. This allows housing complexes offering below-market rents for lower-income families to be successfully developed, built, and operated. Studies show that, without the LIHTC program, the housing market will support affordable apartments only if construction costs, which are already well off their peak, drop another 28%. The LIHTC program currently produces about 75,000 new low-rent apartments annually. This is admirable, but not enough to replace the affordable apartments lost to obsolescence, conversions, and demolition. According to a 2011 Harvard study, nearly three out of ten low-cost rental housing units available in 1999 are no longer on the market. In 2012, each of the 50 states is authorized to award a minimum of $2,525,000, or a maximum of $2.20 for each state resident, in federal LIHTCs to developers who agree to follow certain rules for their new or rehab residential apartment construction projects. More valuable than tax deductions against income, LIHTCs are direct reductions in the amount of U.S. federal tax you pay, each year that you pay tax, for a full 10 years. Even better, participation in the LIHTC program does not preclude receiving other government subsidies on the same project, such as development grants and below-market-rate loans, or assistance to individual tenants under HUD’s Section 8 program. The program is popular with developers, providing some $60 billion in tax credits per year, and has been applied to some 2.5 million affordable rental units, which amounts to about 90 percent of all recently built affordable rental housing in the U.S.
To take advantage of the LIHTC program, you begin by proposing a project, with its estimated cost, to a state housing finance agency. Several times a year, the agency compares all currently proposed projects, and awards credits to those it ranks highest, in descending order, until it has allocated all its available credits. The state agencies have wide discretion in awarding these credits, allowing each state to set its own priorities and address its specific housing goals. Developers who hope to win LIHTCs in a particular state should study its publicly-available “Qualified Allocation Plan,” which lays out the state’s criteria for awarding these credits. Although a portion of each state’s credits are “set aside” for projects sponsored by non-profit organizations, non-profits typically go for “general” credits along with everyone else. Projects financed by tax-exempt bonds can also qualify for LIHTCs, although the state agency responsible for bonds generally follows much the same rules. To beat out other applicants for LIHTCs, however, developers tend to offer more than these minimums, such as lower rents, longer set-asides on units allocated to low-income tenants, or allocating more of a project – sometimes up to 100% – to rent-restricted units. As part of the deal, developers agree to charge low income tenants just 30% of their income. However, they are free to ask market-rate rents on any units not reserved for low-income tenants. Winning projects must abide by LIHTC program rules or suffer recapture of their credits, and possible black-listing for future credits. The rules, set forth in a “Land Use Restriction Agreement” (LURA), cover a 15-year initial “compliance period” plus a subsequent 15-year or longer “extended use period,” and involve adhering to Section 42 of the IRS code, as well as maintaining the agreed-upon set-asides for rent-restricted units. There are also annual requirements for verifying the low-income status of tenants, filing certain paperwork during their tenancy, and submitting to monitoring and inspection of the property by the appropriate state agency, under rules set forth by the IRS. For purposes of the LIHTC program, the “eligible basis” of a project is the cost of acquiring an existing building (if there is one), plus construction and related costs necessary to complete the project. Excluded are land acquisition and the costs of obtaining permanent financing or “syndicating” the credits to an investor. This “eligible basis” is multiplied by the allocation of low-income units in the project to determine the project’s “qualified basis.” The more units restricted to low-income tenants, the more LIHTCs the project can earn. LIHTCs are generally limited to a maximum of 9% of the project’s qualified basis. For projects financed with tax-exempt bonds, LIHTCs are generally limited to between 3% and 4%, and these days are effectively limited to 3%. These percentage limits are announced each month by the IRS. 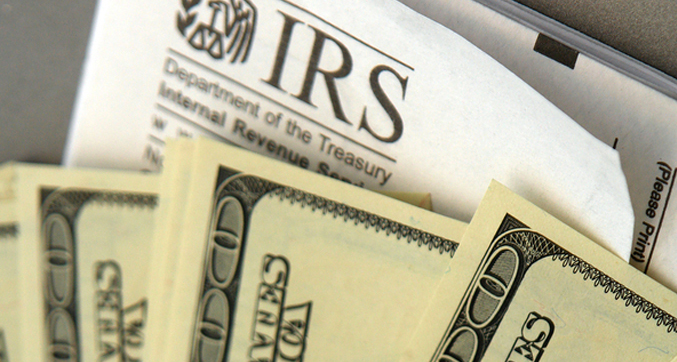 However, the state agencies are not required to award LIHTCs up to the IRS limits. They can award a project less. Developers typically use any LIHTCs they win to attract private equity, in many cases prior to or during construction, effectively reducing their need to borrow. The usual method is to “sell” a project’s LIHTCs through LLCs or other limited partnerships, allocating as much as 99.99% of the project’s profits, losses, depreciation, and tax credits to investors. The developer becomes the general partner / managing member, and receives most of the project’s cash flow in the form of fees or distributions. Under such arrangements, LIHTCs have been “sold” to investors for anywhere from $0.75 to $0.95 on the dollar, and in today’s market can reliably attract dollar for dollar investment. Investors are effectively “locked in” for the entire LIHTC compliance period, because premature withdrawal can trigger recapture of previously used tax credits. Once you’ve obtained LIHTCs, you can quickly utilize them to enhance the profitability of the project. To begin with, these tax credits automatically add considerable intrinsic value. Even if you receive only three percent of the project’s eligible value in LIHTCs, they’re good for ten years, and that brings the project an instant 30% increase in value. What’s more, you can realize this extra value at once by selling the entire project, including its ongoing LIHTCs, to another entity you have created for just this purpose. In addition, once qualified for LIHTCs, your project can legally pay you a 15% “developer fee” for all the spending done to rehab the project. On a property with, say, 200 units, each of which needs $30,000 worth of improvements, you stand to pocket an immediate $900,000. Let’s look at a property that starts out costing $10 million. The LIHTCs can be worth $3 million. If you put another $6 million into rehabbing the project, that can produce another $2 million in LIHTCs. Because you can expect to sell these credits in today’s market for their full value, the $16 million property investment immediately generates $5 million in cash, plus another $900,000 in government sanctioned developer fees. In addition, by serving as the general partner, you’re in line to receive additional developer’s fees, property management fees, partnership management fees, and possibly even incentive management fees. And all that’s before you even begin to calculate the property’s net rental income, depreciation, and potential for value appreciation. The LIHTC program is not only vibrant and successful, it continues to grow and evolve. Congress and various regulatory agencies regularly fine tune the program, and routinely make changes significant enough that anyone interested in LIHTCs should become, or stay in touch with, a specialist who can make sure properties are in compliance with the many specific requirements of the program. Should you want my help applying for LIHTCs on your next new construction or rehab project, I’ll be happy to serve as your consultant and do my best to kick up the profitability of the property with these powerful investment-value boosters.